Taormina’s public garden, Villa Comunale, was given to the town by English aristocrat and nature conservationist Florence Trevelyan (1852-1907), who once enjoyed bird watching from its cliff tops. Originally designed to be a private pleasure garden, the Villa Comunale was initially called Hallington Siculo, or Sicilian Hallington; Hallington for Hallington Demesne, the town from which Trevelyan hailed in Northumberland, England and to which she never returned once she settled in Sicily in the early 1880s. Villa Comunale is a lovely place to escape to from the hustle and bustle of the boutiques and restaurants on Corso Umberto I. It’s not a secret, but with all its lush plantings and shaded pathways, you’ll feel like you’ve discovered one. We’ll be arriving in Taormina in the evening of Day 5 of our May 19-31, 2016 Experience Sicily with Chef Melissa Muller tour. 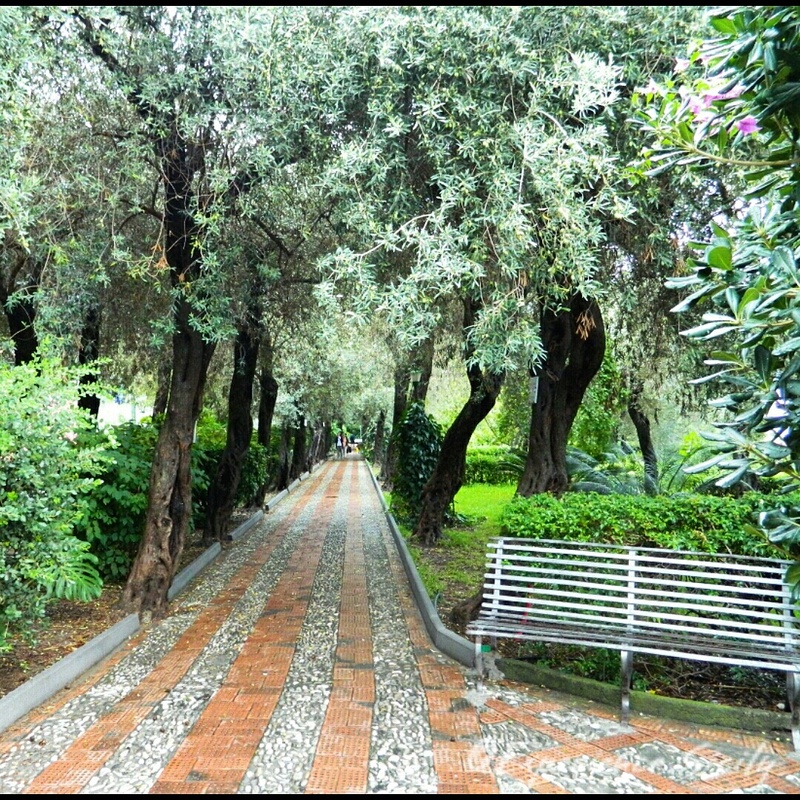 If it’s before sunset, you can take a stroll down Villa Comunale’s pathways. Next Post Our May 2016 Sicily Tour, Day 6: Etna Rosso or Etna Bianco?